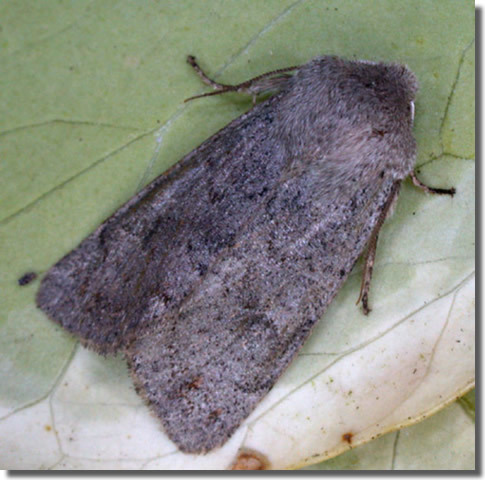 Notes: Local in broad-leaved woodland, parks and gardens throughout the British Isles; widely distributed across Hampshire and the Isle of Wight, occasionally in good numbers. 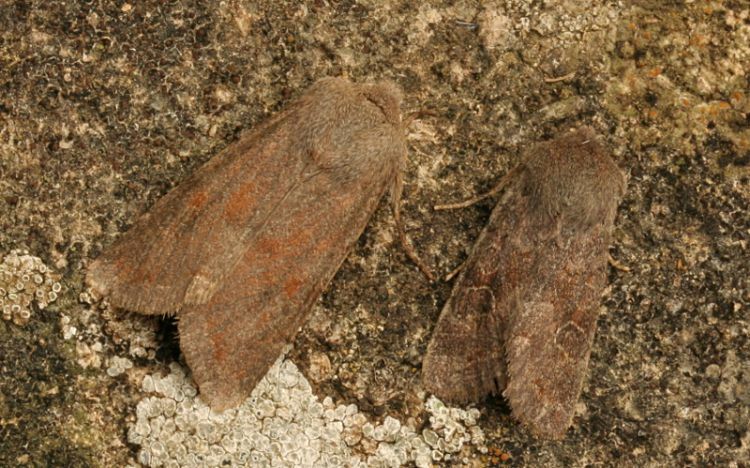 Wingspan 34-40 mm. 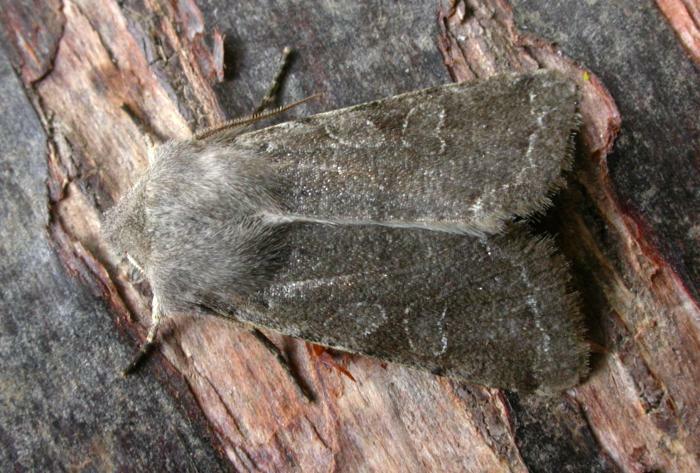 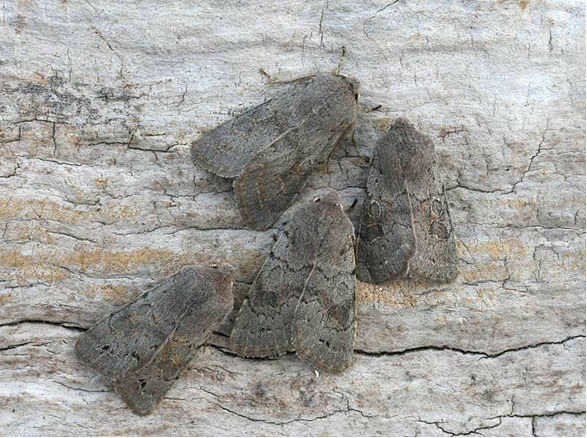 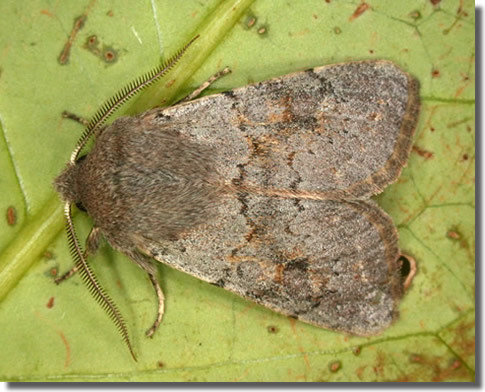 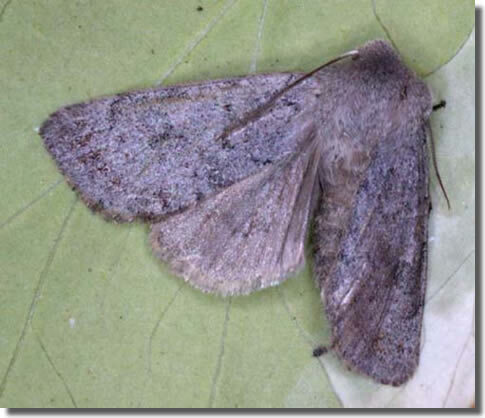 The main confusion species is the highly variable Clouded Drab O. incerta, but Lead-coloured Drab has more rounded forewing and more distinct black dots on subterminal fascia, and is less variable and usually always predominately grey. 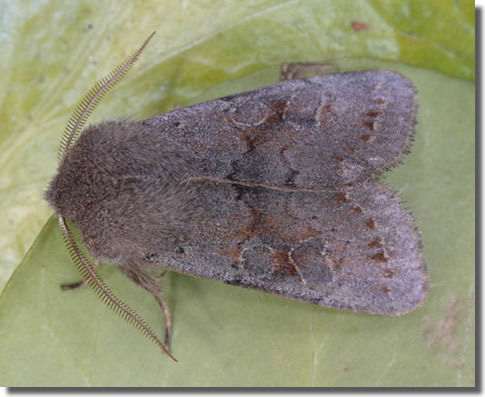 Larva feeds within catkins of Aspen and Black Poplar, subsequently feeding on the leaves, over-wintering as a pupa.